Helena Waithera is a Kenyan actress known for her role in the soap opera, Tabasamu. 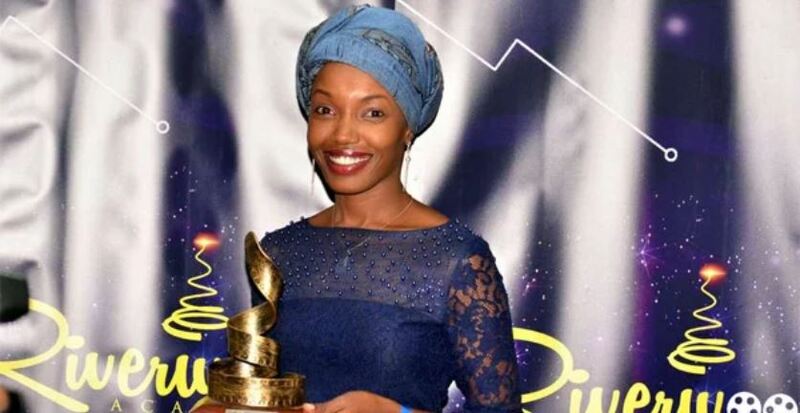 She is most notable for playing villainous roles in several TV series, including Gabby in ‘Tabasamu’, Anita in ‘Uriru Wa Wendo’ and Lucy in ‘Jane and Abel’. In 2017, she won the Best Lead Actress in the Riverwood Academy Awards. Helena boasts more than a decade of experience in media and TV production. She opened up about her acting process, the film and television industry in Kenya and more. You have been in the industry for more than a decade, what changes have you noticed? I’ve seen it grow from a hobbyist club to a thriving industry. Acting is now a serious profession unlike 10 years ago. Digital platforms have created more opportunities and competition has gone global. Mediocrity doesn’t cut it anymore. Creativity in concept, actors and filmmakers is demanded now more than ever. What went through your mind when you were shooting 1988? “Lord give me a strong spirit to endure”. That year was my first overnight shoot and it was an intense script that demanded perfection. I had 80 percent of the dialogue in the script, carrying the story, so I needed to be alert and present all through. Do you like to be a villain? Villainous roles are very challenging and require a tremendous amount of work to create. I’m always up for a good challenge. I read through the entire script. Do a second read through, this time concentrating on scene by scene to get the whole picture of the script, then start rehearsal. Rehearsal includes internalising the script, then do character development by memorising script. Then it’s ready for set. What have you learned from acting especially in the local scene? How to take control of my career as an actress and, in film, how to be a film entrepreneur. Do you have a preference for theatre or film? I love different things about both. I am a story teller and I love to mirror society, and chokoza (poke at) and expose issues society tries to sweep under the rug. Film is the best story telling platform to reach the masses because the population in Kenya and the world has embraced the film culture. Theatre on the other hand is magic. It is what has contributed to my growth as an actor. I go back to the theatre to rediscover myself as an actor; I am reminded why I started this career in the first place. When I do a theatre performance, I always realise that there’s still so much I need to learn as an actor. You hold a degree in human resource management from the University of Nairobi and are currently studying Copyright Law at the Kenya School of Advertising, why copyright law? It is important to understand the laws governing the industry you are involved in. It has given me the ability to advise my colleagues and as a content creator, I have a better understanding of my rights. What would you do if you couldn’t act? Acting is a skill. And I am a woman of many skills. What would you as an actor tell Ezekiel Mutua to do in order for the industry to grow? To work juu chini (really hard) to put policies in place to regulate the film operations in Kenya.